I've had the opportunity to review several books over the last few weeks, and wanted to share them with you. Please feel free to contact me if you have questions about these books as I'm going to make my reviews brief so I can get them into a post for everyone to see and hear about sooner rather than later. I've hot-linked each book title where you can also find more details and information on how to purchase the books. 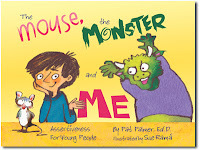 The Mouse, the Monster and Me helps develop social skills that can bully proof youngsters (8+). 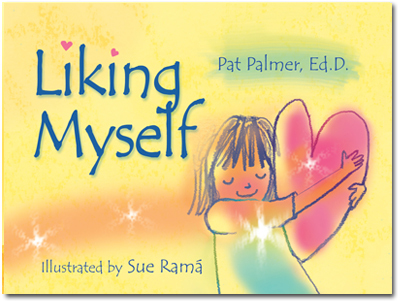 Youngsters quickly grasp the metaphor and discover and develop their assertive "me" self. Aggressive children learn to get needs met without being "monsters"; passive children ("mice") find their voices and learn to ask for what they need. It helps both deal with bullies and bullying by helping youngsters learn conflict resolution skills and how to deal with anger in themselves and others. They learn assertiveness skills, plus how to decrease disruptive behavior and deal with anger through the "me" communication style, which is based on rights, responsibility and respect. This increases both their confidence and self-esteem, and improves their relationship with others. Other topics addressed include: getting in touch with your own strengths, how to say "no" to trouble, receiving criticism and compliments, and being yourself. The first two books above were both a little different than I expected. They actually reminded me somewhat of comic books with the illustrations being more child like. But I will say that they knew what they were doing because it really appealed to my kids. I gave each of them their age grouped book and let them look through it. 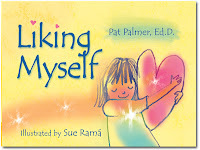 My son read his on his own while I sat down with my daughter to read Liking Myself with her. I did notice several things through out the book that caught her attention because she would stop and tell me about something she had done regarding what was on the page. Like one page says "To be a good friend to yourself do something nice for yourself like:" Then it listed things like play with a kitten and sing. These were the things she mentioned she does, so she was really connecting with the book. A brightly illustrated, interactive Kindergarten book that features the core curriculum. I really like these books. The part that appealed to me the most is that the pages are a laminated material so you can use a dry erase marker on them! My daughter loves to trace things so this made it so easy for her to trace letter, numbers, shapes, and more all in one book. No having to erase pages to practice over again like most work books! I think these will be wonderful tools for helping her learn all the basics of Kindergarten this year, and First Grade next year. I highly recommend these books if you have young children. I'd start the Kindergarten book ASAP! Disclosure: I was provided copies of the above books in exchange for my reviews. No other compensation was received. All opinions and thoughts are my own. A nice review, I don't have kids, mine are grown, but I do have 15 grandchildren and I think these books would be great for several of them. I think the Let’'s Get Ready For First Grade would be great for them to have. Thanks for the review, I'll tell them to take a look at this.